Old fashioned cobbler, made from scratch, is easier to make than you might think. 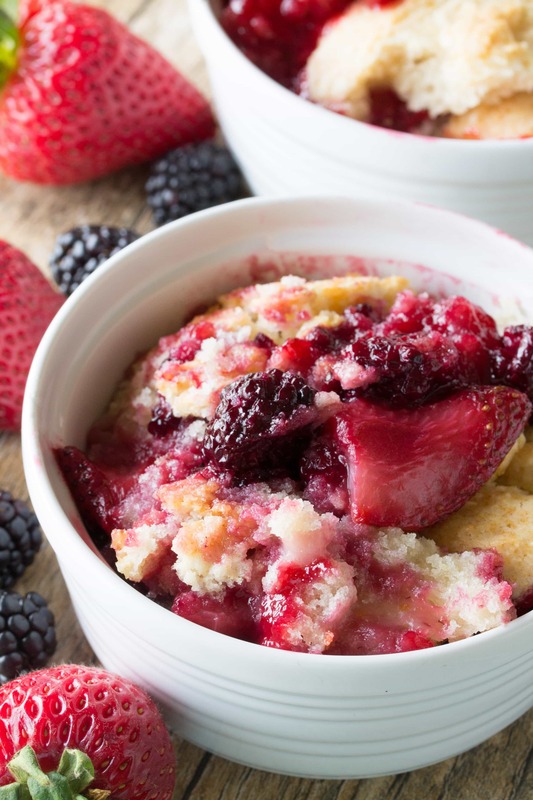 10 minutes of prep and you’ll have the best cobbler of your life! I used to think that I didn’t like cobbler. Turns out I just don’t like cobbler made with cake mixes. Old fashioned cobbler made from scratch? It’s amazing! Every time I make it I can’t help but think, “Dang! 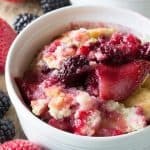 I make the best cobbler!” It’s really easy to make too. For the topping, you can choose to be truly old fashioned and use a pastry cutter to cut the butter in, or you can add a little modern convenience to this recipe and pulse it together in a food processor. I won’t judge you either way, but let me tell you, the food processor is so much easier. You can cut down the prep time to 5 minutes that way. You can use this same recipe with any fruit really. Just substitute in 3 pounds of the fresh fruit of your choice. Just make sure it’s prepared first (peeled, sliced, pitted, whatever it needs). Seriously, it’s so easy to make! Don’t believe me? Watch the video below where I walk you through every step on my very own cooking show. Check out my channel on YouTube and be sure to subscribe! Old fashioned cobbler, made from scratch, is easier to make than you might think. 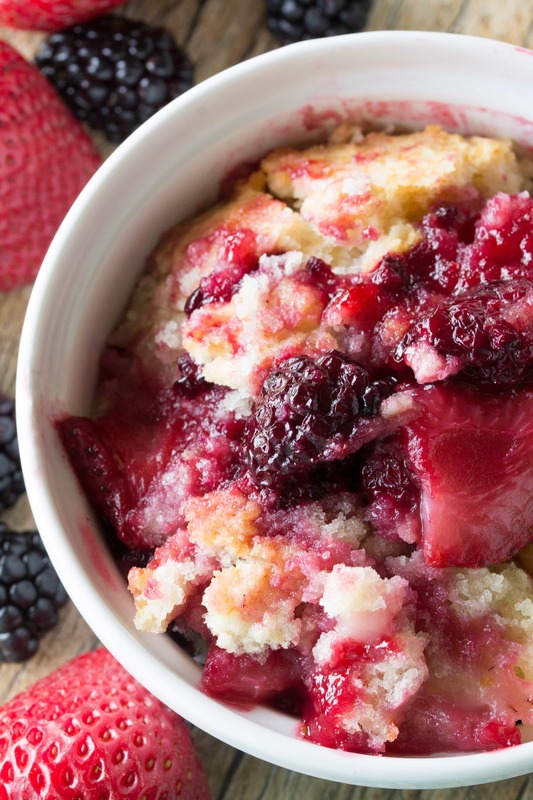 10 minutes of prep and you'll have the best cobbler of your life! Can you use frozen berries, and if so do they need to be thawed? Yes, you can use thawed berries. You want to thaw them first because they will have excess moisture that you’ll need to drain off. Just made this recipe for July fourth holiday. Used fresh picked blueberries and raspberries. Served to some of my down home country friends and everyone says this was gooooooood! Made the batter a little different from the recipe, didn’t have a food processor, so I mixed by hand and plopped the clumps on the berries. Turned out like scones sitting on top soaking up the berries underneath. Thank you for such a great recipe. I don’t have powdered sugar, can I use regular sugar instead? Regular sugar can easily be made into powdered sugar by running it through a blender or food processor for about 2 minutes.